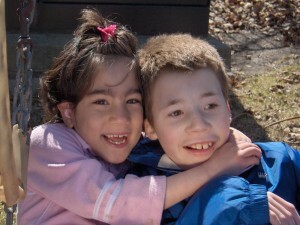 Children’s RespiteWe will work with you to develop a respite schedule that suits your child’s needs. Complex Medical NeedsThis program was developed for children ages 0-18 who are medically fragile or technologically dependent. Preschool DayThis program is designed for children ages 0-4 who are not attending a regular school or daycare program. The complex medical needs program has 3 beds. Two of these beds are funded for 356 days a year, the remaining bed is an emergency bed that is funded for only 11 days a year. Due to the fact that capacity in this program is much lower than our regular relief program, we allot time to families according to their level of need. On average, families who meet the criteria can access the MSN beds 21 days per year. Our program has been designed to have one Nurse on each shift, with the Director of the program “on call” as required. Our nursing practice is evidenced based, and all of our nurses participate in ongoing education and research. Our registered nurses are highly qualified and have years of experience in a variety of fields. We recognize that each child’s needs are unique and we will work with you and other health care professionals if specialized training is required. Children ages 0-18 who are medically fragile or technologically dependent, and require 24 hour nursing care or assessments for survival and to ensure optimum health and well being. Children must be living at home with their parents and reside in the Ottawa area. To access the multiple special need program, please contact our Director of Client Services, Maria Contreras at MariaC@prosardev.com or by phone at 613-236-3200, for an information package and to arrange for a tour of the Home. One of our registered nurses will then meet with you to discuss the needs of your child and how they can be met during a visit at Rotary. There is a nominal fee of $10.00 per day charged to parents for using the service.